Icelandic Thunder is not a boarding facility but we do have two horses that were born here that are boarded for a friend. We own 250 acres here with tons of wooded trails and open meadows to ride on. We also have a 60 X 120 indoor arena so can get away from the bugs in the summer and undercover from rain or snow in the winter. We also have a 60 ' outdoor roundpen and a 5 stall horse barn but rarely keep horses in stalls. Our horses have paddocks that are fenced with electric aluminum wire and PVC fences with run in shelters. Most of the horses here have been trained to ride with various ablilties and personalities. 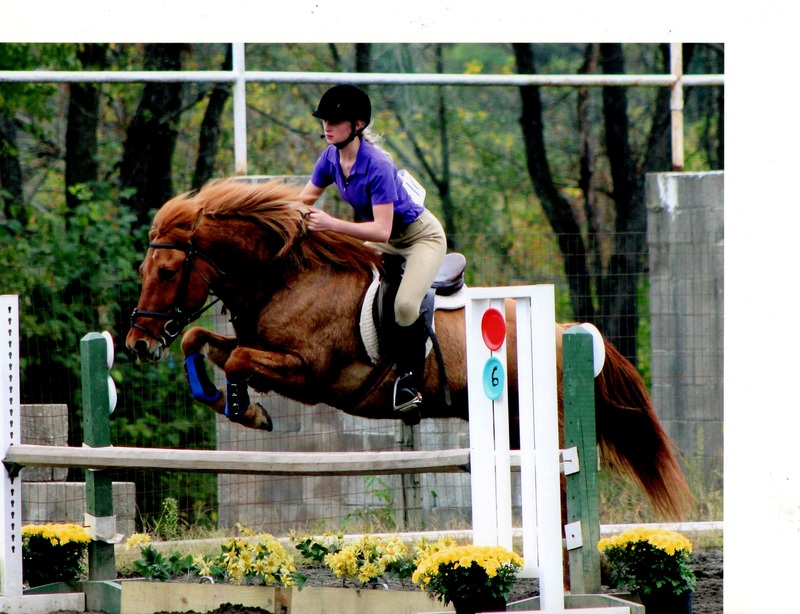 Wether you are a novice rider or have ridden horses your whole life, you'll find there is always something new to learn and do as a horse owner and rider and a horse that matches you abilities. Nearly anybody that can ride a horse can ride an Icelandic but the more you know, the more you can get out of them. Having an understanding and respect for horses makes a big difference when it comes to training. While there is a basic framework for breaking a horse or training one, we take into account horses have different personalities. This ensures the best training and results. Horses have been trained here on occasion but usually sent to one of our trainers (like going to "school".) When they return, we continue their training here. Lessons are a great way to build confidence as a rider, learn more about caring for horses, and a great way to get to know your horse. Along with riding, lessons include everything from safety practices to tack and tack maintenance. It is always advisable to increase your knowledge both on the ground and on a horse.